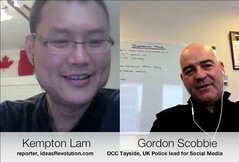 Astute readers may remember I had insightful chats with social media experts from Toronto Police (see video interview) and UK Police (video interview) few weeks ago. Well, after some planning, I had the pleasure to talk to Royal Canadian Mounted Police “O” Division (Ontario Division) (English: @RCMPONT, French: @GRCONT) social media expert Jean Turner-Floyd (@jturnerfloyd) two weeks ago about how RCMP “O” Division is currently using social media to help with policing work. I really appreciate Jean taking time in sharing her insights. Following is my video interview with Jean. P.S. When I find more time, I still plan to write up an in-depth article (possibly also conducting one or more interviews) to allow Canadians (and citizens in other countries) to see how social media tools have been used by police forces from around the world. And may be opportunities for police forces to learn from each others. Stay tuned. Gordon gave a very insightful talk “Police Leadership 2011 Conference/Seminar” in April 2011 at Vancouver. Also check out this Association of Chief Police Officers (ACPO) guide entitled “Engage: Digital and Social Media Engagement for the Police Service” (PDF file) (probably created around 2010). Both the presentation and the 22 pages guide are very informative and very worth your time in reading. I am in the process of writing an in-depth article about how Police Services in Canada and around the world use social media tools. Average readers may not know but police services are now using social media tools to help communicate with citizens, report crimes, and, in some cases, even prevent crimes. Think for a moment, “prevent crimes” amazing right?! Watch the video and see for yourself and you will realize it is dedicated and good policing assisted by new social media tools. I’ve started collecting research materials for the article. The following is my first video interview. The interview was actually conducted and broadcasted LIVE this morning using Google+ and YouTube technologies (two of the social media tools used in Toronto). 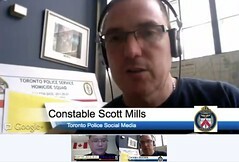 I want to thank Toronto Police Constable Scott Mills (@GraffitiBMXCop) for his time in sharing his insights. Have a watch of the video. Stay tuned for more interviews (I am planning a few more) and the in-depth article to be posted later. Congrats to ZDF for winning Best Interactive Award for “Wer Rettet Dina Foxx?” (German) at 2012 Banff World Media Festival. Here is a video of ZDF’s Ralf-Peter Piechowiak accepting the award at 2012 Banff. Teachable Moment in #Rogers1Number bashtag epic #fail – Tipping point? Will @RogersKeith and Rogers actually change or just listen and ignore? TorStar, Globe and Mail, and Techvibes have all reported on the #Rogers1Number (live search) epic #fail promoted hashtag turned bashtag (a term coined in the #McDStories campaign). I am going to dispense some advices (my brand of poison, borrowing a phrase from a friend) and try to turn this epic #fail into a potentially valuable teachable moment for Rogers and us all. Feel free to share your thoughts in the moderated comments. If the epic #fail #Rogers1Number and #McDStories campaigns have taught us anything, it is that these promoted hashtags can get out of control, can be risky, and can lead to destructive unintended consequences. You know what, the companies promoting the hashtag will also be paying for these bashtags! Yes, the companies are literally paying to get bad press! 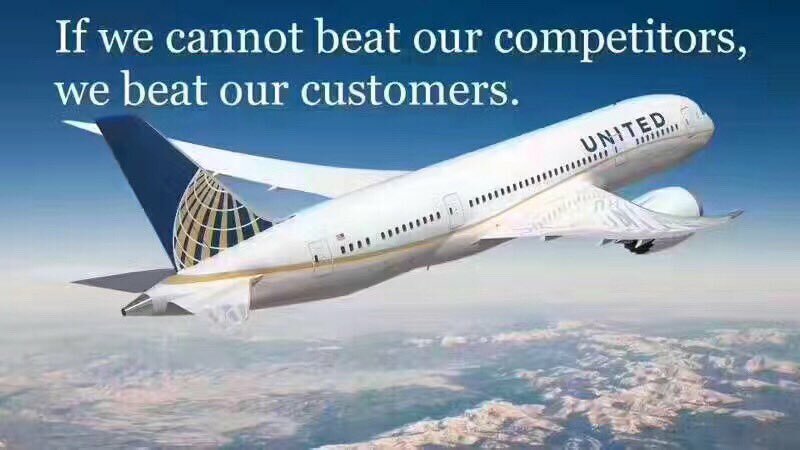 The companies are paying to let the world know how dissatisfied their customers, ex-customers, potential customers feel about them. NOTE 1: Not all hashtags are bad. I think the organically “grow” hashtag from some greatly loved companies can be possibly useful. But even then, company encouraged, sponsored, or paid hashtags can still become lightning rods for unhappy customers or people with complains. So use hashtags with extreme caution like holding a lightning rod in a stormy area. I’ve spent some time to find some sample tweets and I try to check to ensure the tweets are not from troll accounts newly created just to bash Rogers. You are currently browsing the archives for the social network category.